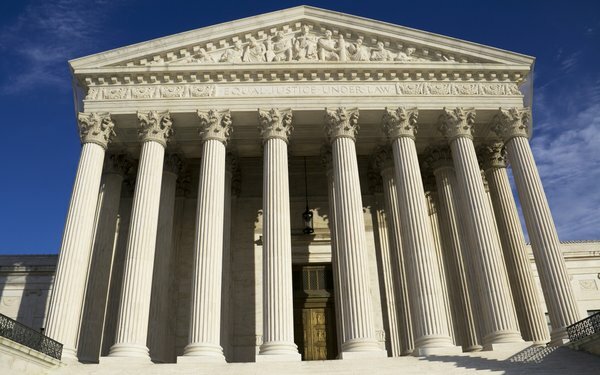 The United States Supreme Court will hear arguments at the end of the month for a case that could potentially impact the way marketers use location data for geotargeting. On November 29, Carpenter v. U.S. will make its way before the Supreme Court. The digital privacy case stems from a 2011 criminal investigation in Detroit when the government utilized cell phone location records as evidence to convict a suspect, Timothy Carpenter. Investigators accessed the cell phone location data -- in Carpenter’s case, almost 13,000 separate data points -- without a warrant or probable cause. The American Civil Liberties Union (ACLU) is representing Carpenter in court, arguing that the government violated his Fourth Amendment rights when it obtained the location data without a warrant. The Fourth Amendment protects Americans from unreasonable searches and seizures by the government. The case could have an extraordinary impact on digital privacy and government transparency, as the Supreme Court justices are expected to decide on the scope of the Fourth Amendment in the digital age. The ACLU partnered with the Brennan Center, Electronic Frontier Foundation, Center for Democracy and Technology, and the National Association of Criminal Defense Lawyers to file the amicus brief. Geographic data can make email marketing much more effective because it adds a deeper level of context to a campaign. Consumers are more likely to engage with an email promoting an event near them than an email touting a promotion across the country. The latter will more likely generate unsubscribes or spam complaints than anything else. "Digital tracking, including use of location data for geotargeting, can help marketers more accurately gauge customer behavior, needs, and intent,” says Jay Rampuria, EVP of global business and corporate development at Toluna. Rampuria recommends that marketers provide a clear way for consumers to opt-in to sharing their data, and says tracking people’s location via mobile devices without their knowledge or consent is not appropriate. “Having a clear way for people to opt in is a good first step,” says Rampuria, who recommends that marketers provide a tangible benefit for the consumer. The question marketers need to ask, says Brosnan, is whether the customer experience is aligned with the location-based marketing message. For example, an email marketing message between an outdoor gear and fitness apparel company and a customer might incorporate location-based data so that the message reflects the weather conditions where the customer is. “In a sense, the brand has 'permission; from the customer to do this because it's relevant, on-brand and provides the best experience,” says Brosnan. “But why should a soap brand have any right to know a customer's location? This all boils down to value and experience." 1 comment about "The Supreme Court Takes Up Location Tracking". Mario L Castellanos from New Ventures Technologies replied, November 26, 2017 at 11:28 a.m. If there was a "love" button here, I'd press it for Paula Lynn's comment.